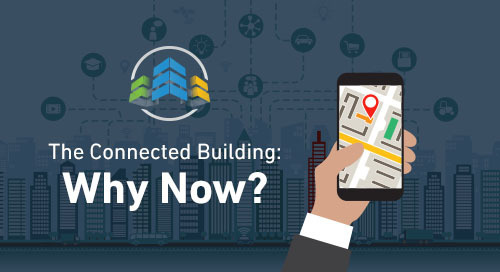 As a key component of the Internet of Things (IoT), the connected building provides the communications infrastructure for the networks and applications that are necessary for “things” to talk to one another. In a very real sense, the connected building itself becomes an extension of the IT infrastructure that helps you run your business. Once connected to all things digital, the building is transformed from a cost center, a simple fixed asset, to an asset of strategic and operational importance. Sensors and controllable devices located throughout the space now work together to mine and parse data that is constantly being generated in the surrounding environment. 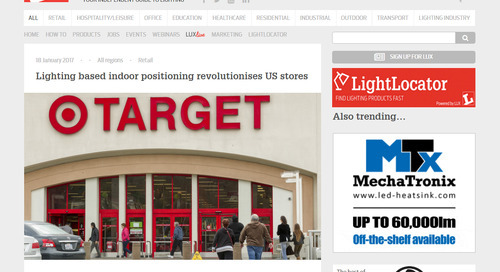 You, then, can capitalize on that data in limitless ways for the good of your business. But do you know how it all works? And, would knowing how it works allow you to make better-informed decisions about how you go about connecting your building(s)? As with any new business technology, the more you know, the smarter your business decisions will be. For purposes of understanding the opportunities that lie ahead with connected buildings, imagine the very building where you’re reading this, and the technology that winds through it, is the human body. At the top is the cloud; think of it, for a moment, as the human brain. It’s in the cloud where the processing happens. It’s where intelligence exists. If you’re familiar with the circulatory system of the human body, you know it’s the veins and arteries that take blood and oxygen back and forth from the brain to the body’s vital organs. Similarly, a building’s core internet protocol (IP) network and service-provider back-haul networks take information, or data, back and forth from the cloud to the traditional “organs” such as computers, servers, phones, and other communications-network components. Over the next several years, IoT will introduce into our world a proliferation of highly reliable yet low-power and low-cost sensors and devices. These are the new edge components – the IoT’s “things.” And, just like the billions of skin cells that lie on the edge of our anatomy, these billions of devices will use blood and oxygen – they will use data – to function. But the human body does not use the arteries and veins to connect to all those skin cells. We use a different kind of network that is optimized to reach them – namely, the capillary system. 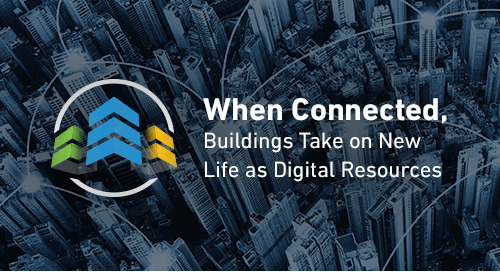 In the same way, a connected building needs a new kind of network to extend our traditional enterprise and service-provider networks to efficiently reach all of the new IoT connected devices and sensors. These new connected building “capillary networks” will need to be ubiquitous and dense in order to send information to and from these widely proliferating and widely distributed end points. It’s at this location, on the edge, where IoT opportunities are infinite. Data – only what is most pertinent to any specific task – will be processed to support new capabilities never before seen. 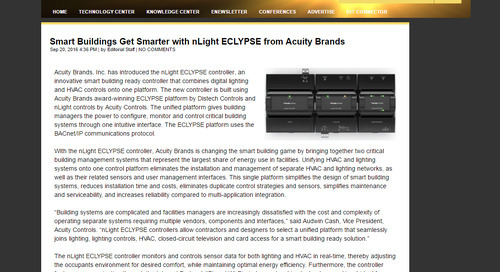 So the connected building capillary network will also need to have edge computing capabilities to support the microservices we use at the edge, for communicating node to node, taking local action when needed, and eliminating any data waste before taking relevant data back to the cloud for processing on a broader – and more intelligent – scale. Regardless of what sensory-network protocol is implemented, the connected building will require another element to live up to its full potential. That’s a new form of data-transport middleware – a software layer that allows businesses to securely manage the data flows that make up microservices. This middleware will support node-to-node communication, as well as communication between and among distributed edge-compute devices and gateways, or applications, and the cloud. Finally, as the connected building goes mainstream and data flows become more serviceable, we’ll see rapid application-development tools proliferate to support quick and nimble prototyping. All the data produced at the middleware level provides countless opportunities for creating new business applications, but there is little time to build, test and determine the ROI. The new tools to facilitate this process will need to quickly visualize all the data, identify its merits, and take immediate action when new insights are gleaned. Obviously, much is anticipated from the connected building, and we continue to consider what seems like an infinite number of possibilities for using the data that will be generated. But having a simple knowledge of how the connected building functions is perhaps the first step in taking a bit of the advantages all for yourself. [i] LoRa™, Wi-Fi™, Zigbee® and Bluetooth® are registered trademarks of Semtech Corp.; Wireless Fidelity Alliance, Inc.; Zigbee Alliance, Inc.; and Bluetooth SIG, Inc., respectively. 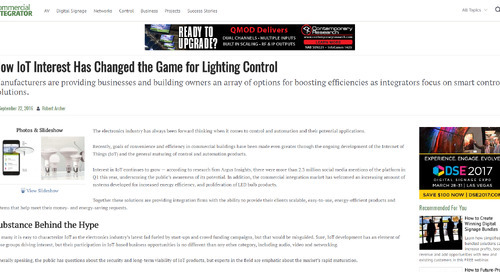 Carter is responsible for developing, productizing, selling and deploying IoT Solutions that leverage Acuity’s IoT platform and IoT-enabled lighting and building systems infrastructure. These solutions harness operational and consumer data and transform them into business insights that fuel improvements in worker efficiency, business processes, customer experience and market penetration for Acuity Brands customers.